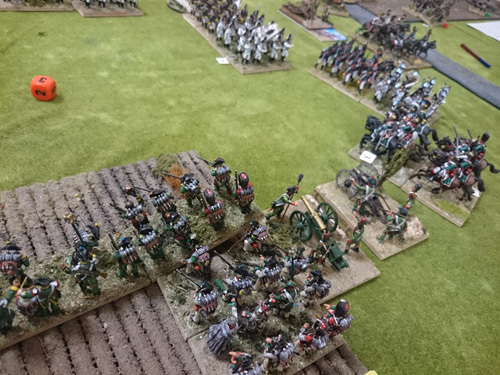 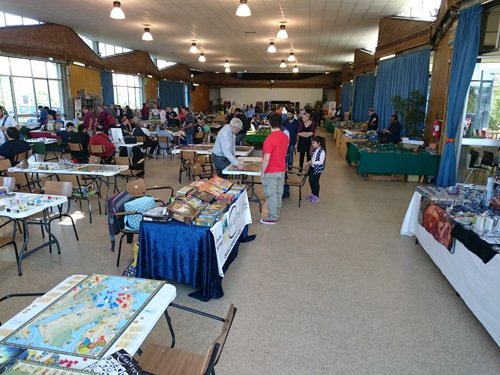 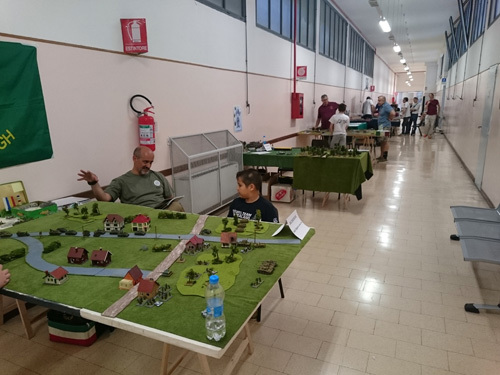 Another edition of Roma Wargame convention at Angelicum. 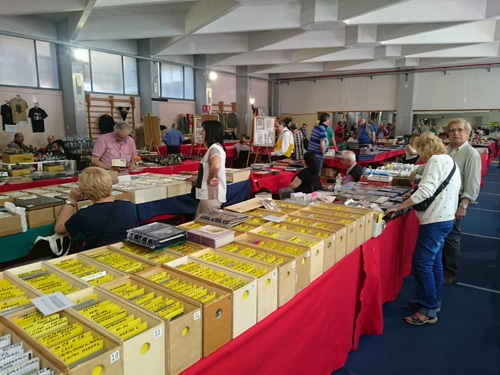 Mixed with a periodic fair for postcards, coins, medals collectors. 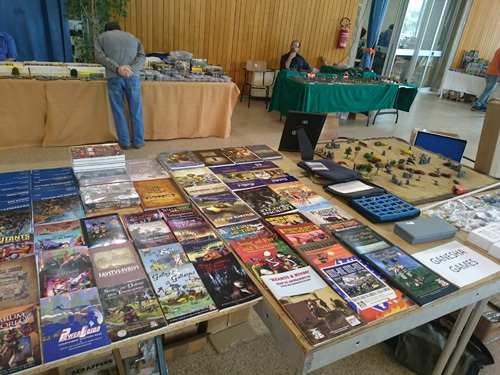 Even for us wargame collectors there was something. 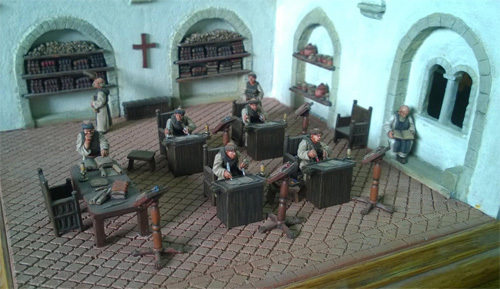 As painting services, miniature vendors. 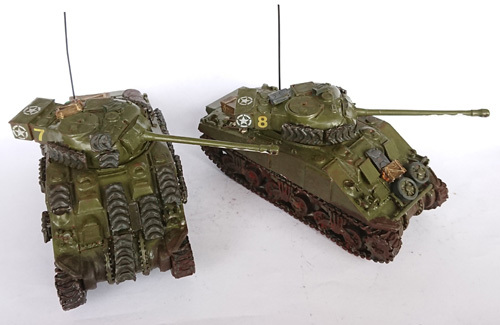 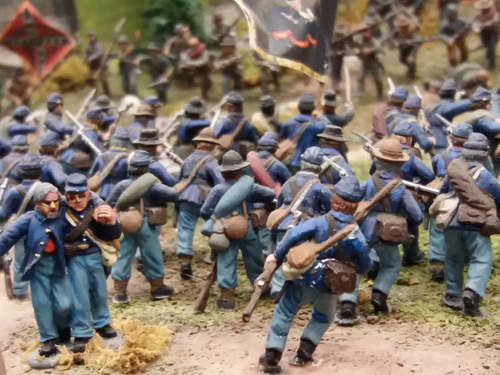 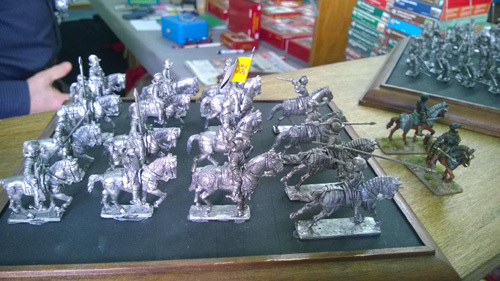 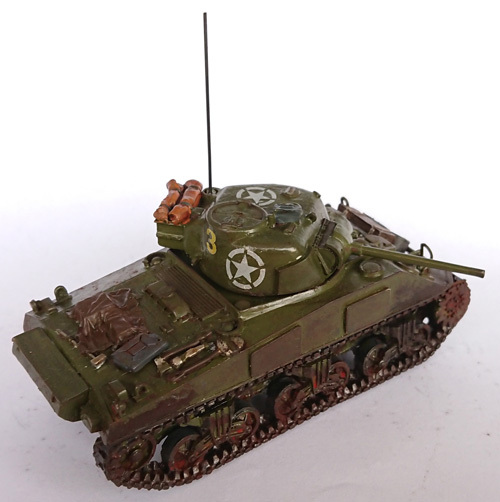 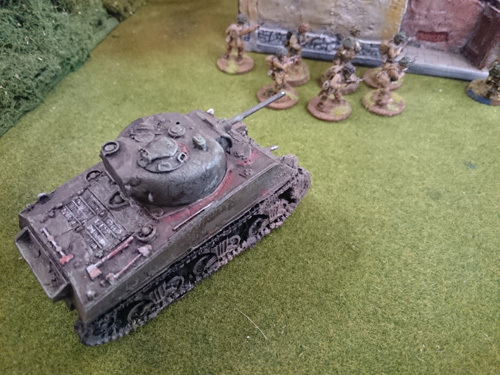 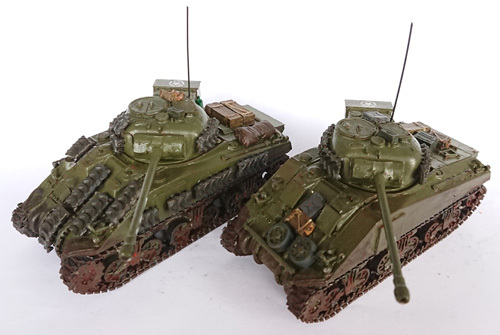 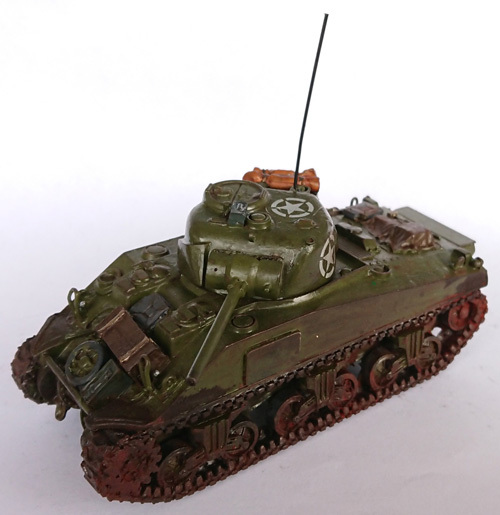 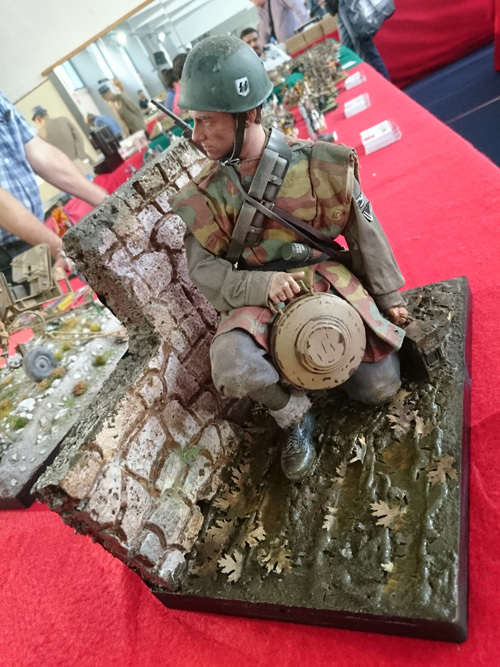 Soldiers but of a different kind: 54mm for collectors. 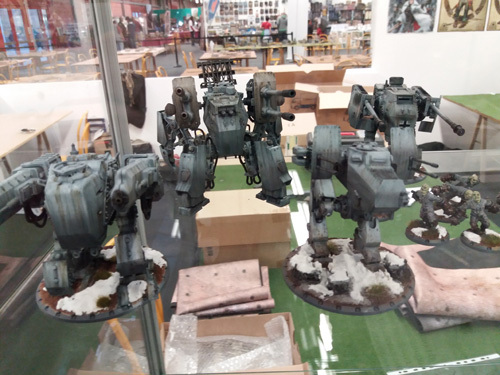 Wonder how they don’t think to play with them. 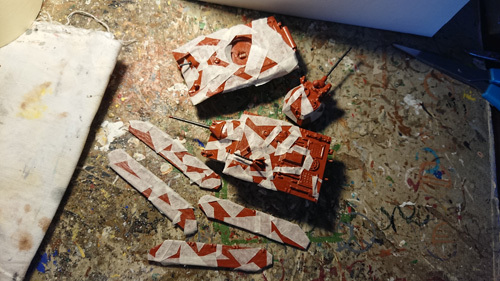 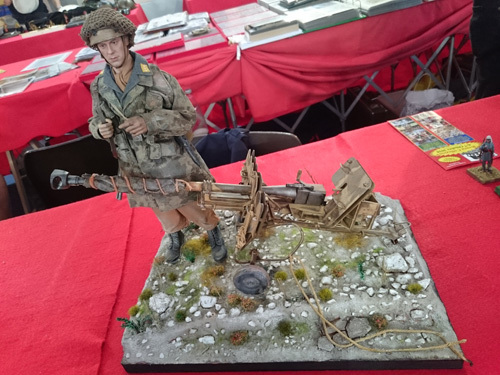 Even bigger: customised 1/6. 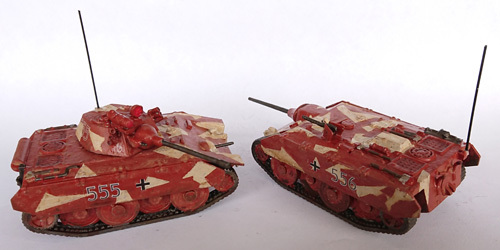 I understand why they don’t think to play with them. 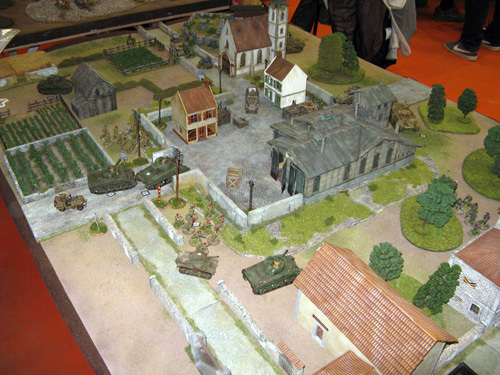 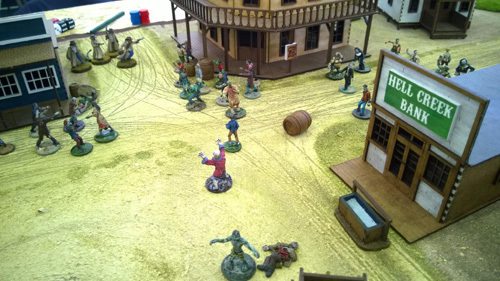 Something that we are used more: wargame tables. 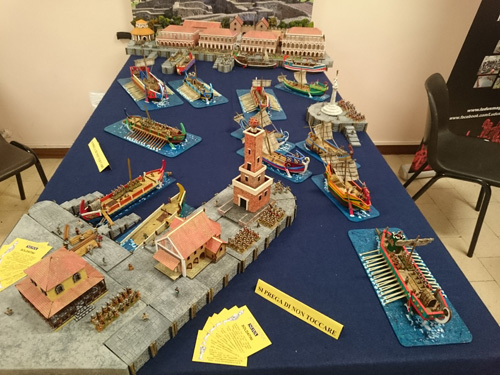 A big, and partially playable, Ostia scenario. 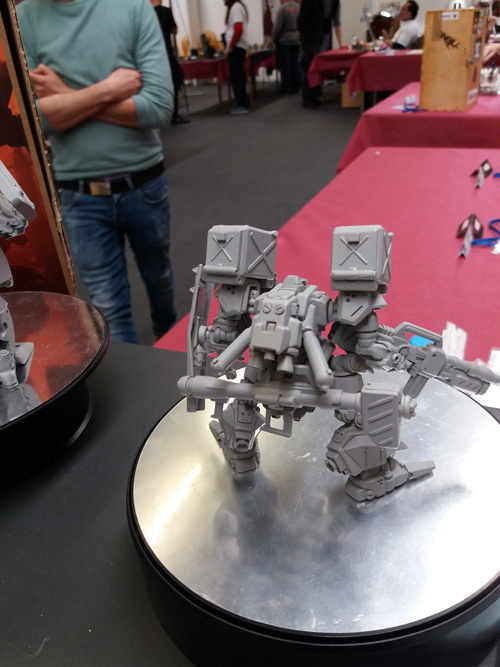 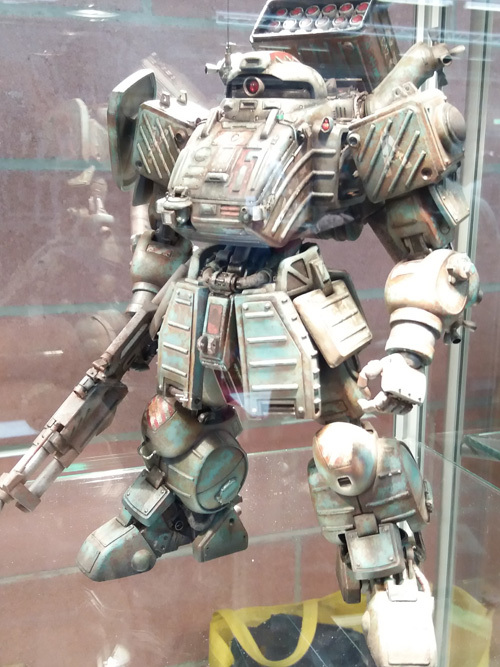 Even in a convention based on boardgames, and games in general, you can find something different as mecha models made by artisans as Kallamity. 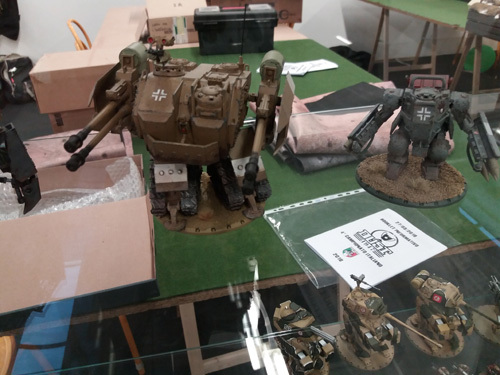 Moreover this was the first time that I saw Dust models in a stand. 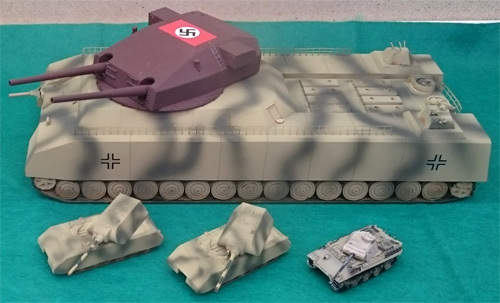 I like 1946 concepts, even if I dislike historical WWII vehicles with legs added. 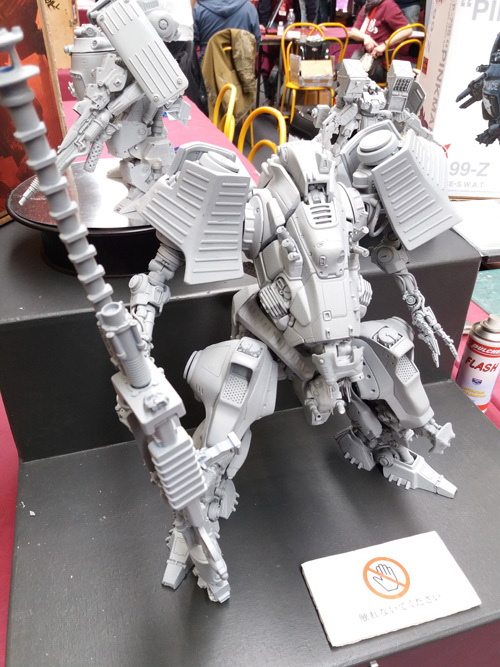 Some of their mechas could be useful for wargame in 28mm, but soldiers are bigger. 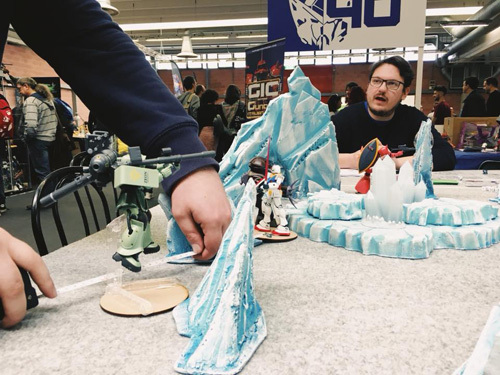 On the other things, there were a lot of great and extremely big Gundam models but I haven’t the right photos about them to show to you. 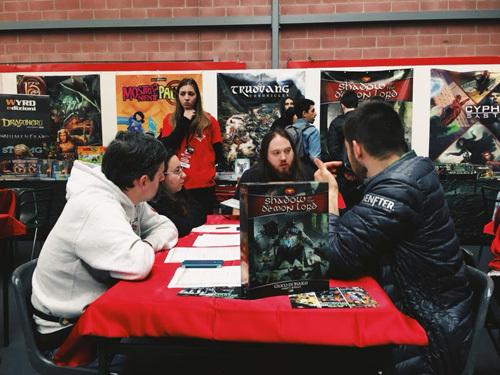 Now I’m in Lucca Comics & Games. 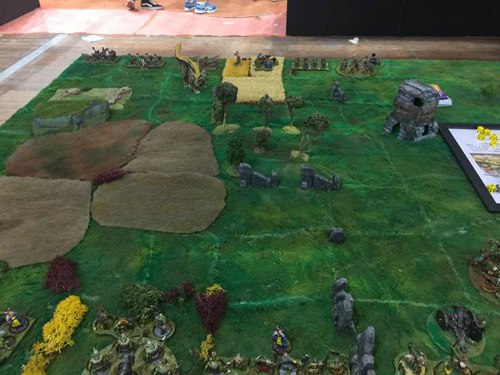 A report will follow. 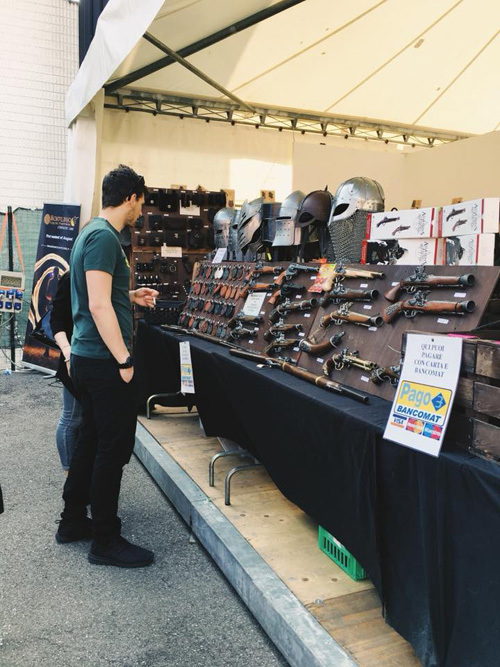 But on this photo I was behind the candy store on the left. 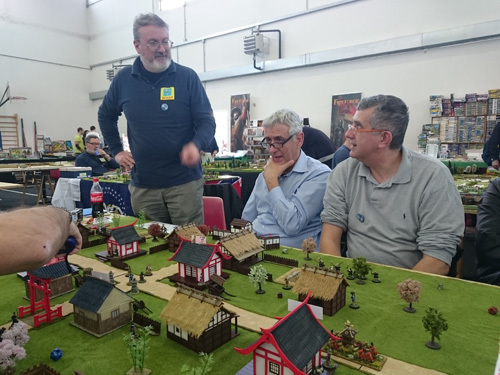 After two years I was in Modena Play again. 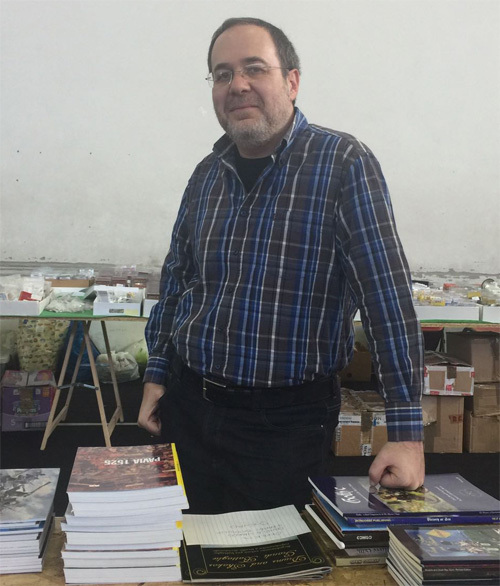 Every edition is better than before. 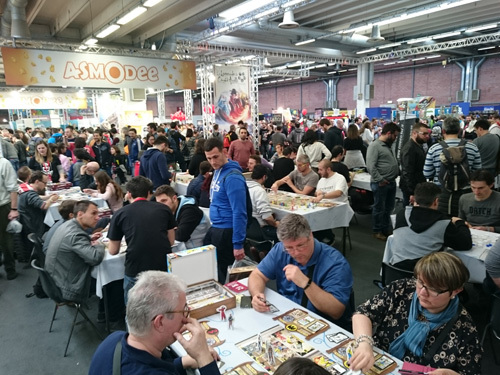 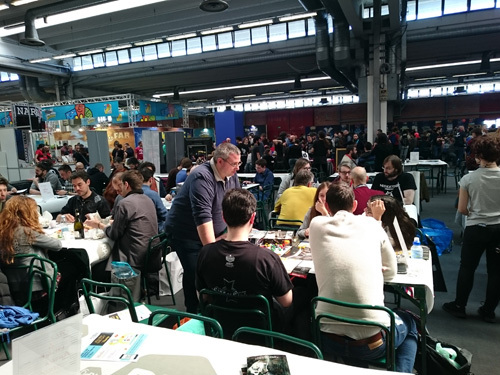 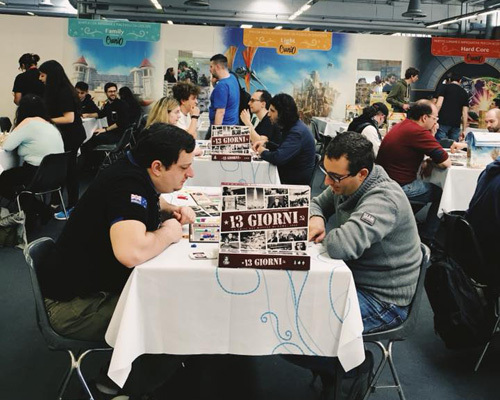 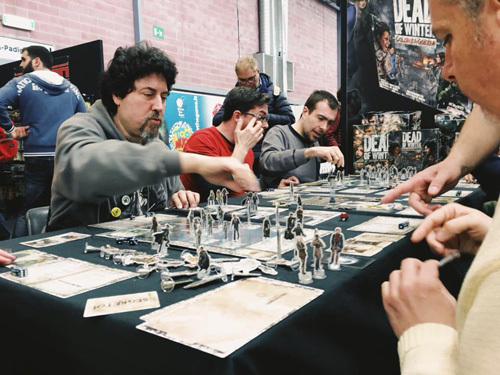 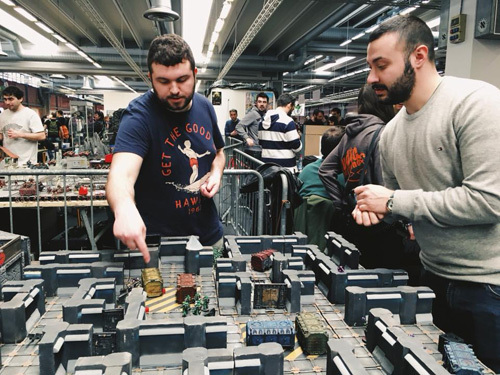 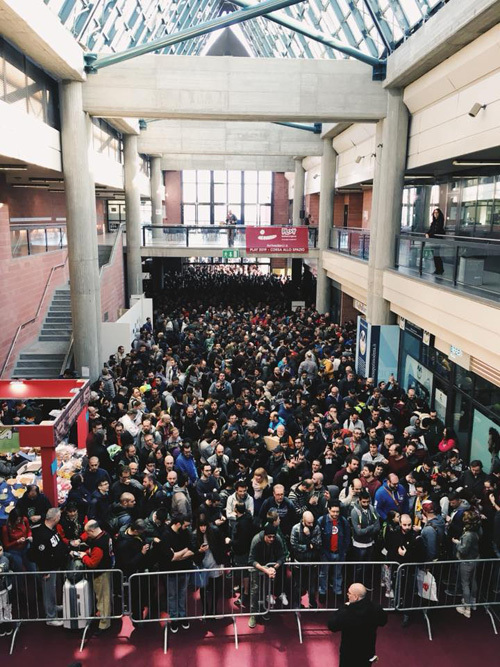 This convention is the best for boardgames, and games in general, in Italy. 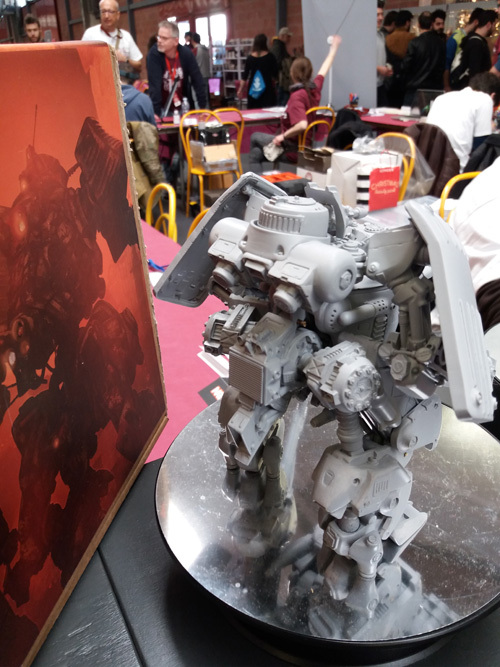 You can came here to play with new proposal from editors. 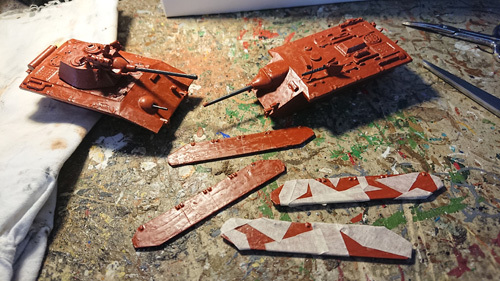 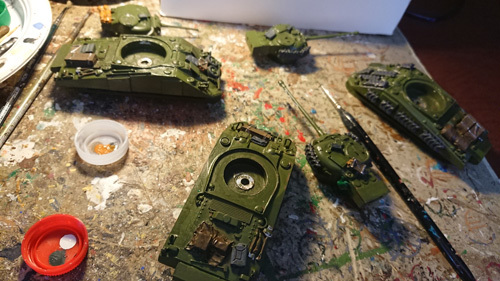 The modelling area is growing as the miniatures one. 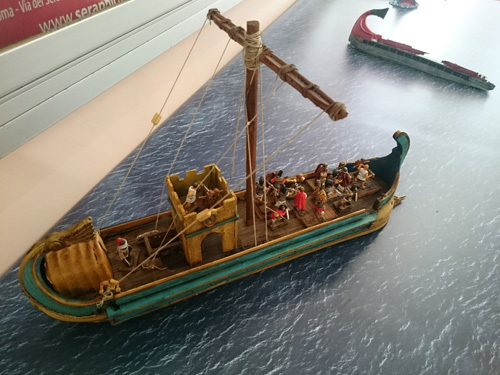 For children a pavilion was built. 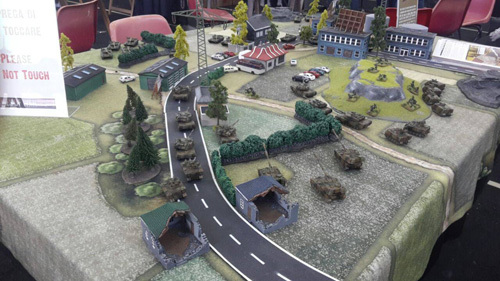 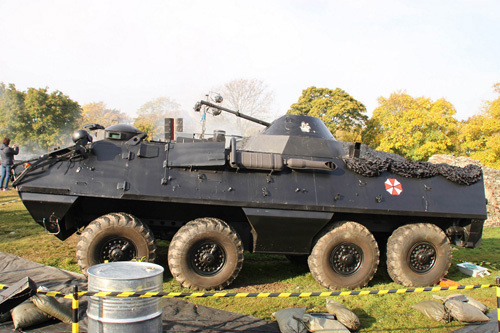 Other areas were for roleplay and 2D wargame. 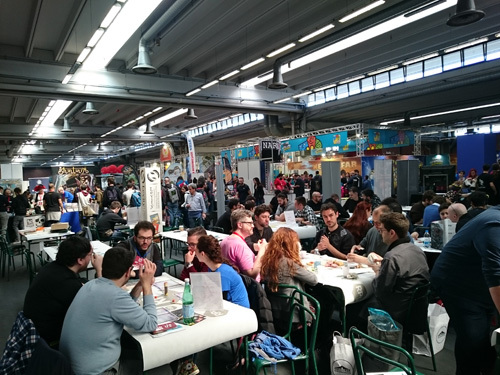 In the open there was space for food, beverages, music and cosplay. 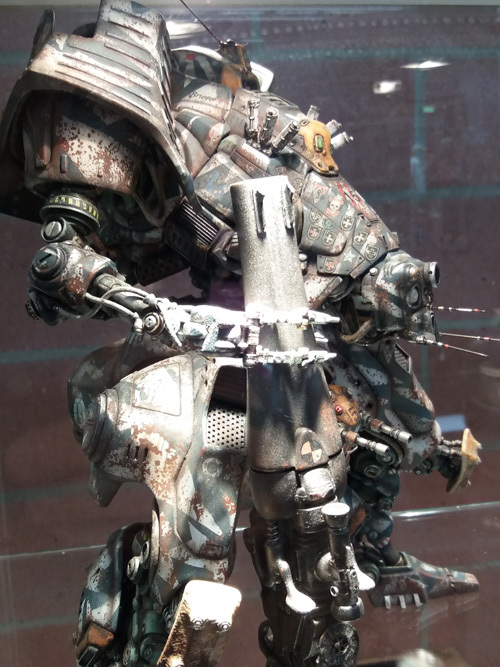 I think I will be here for all next editions. 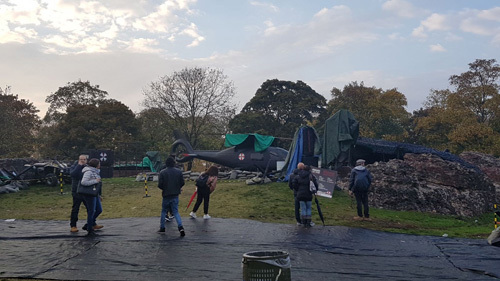 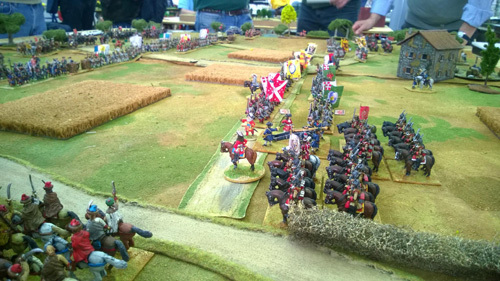 In this post a photographic overview of the fair. 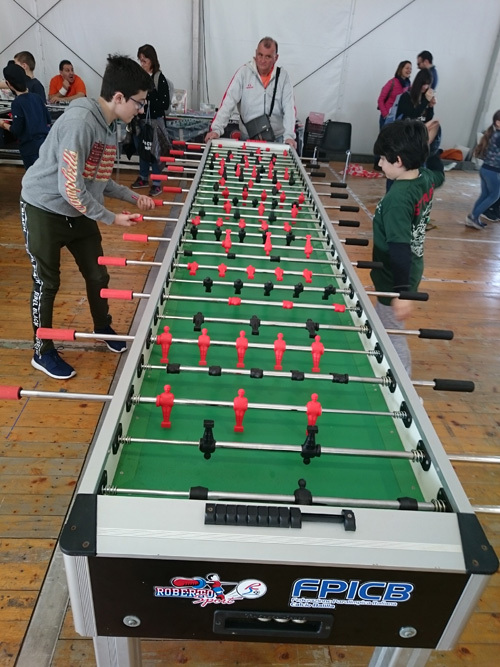 More next days. 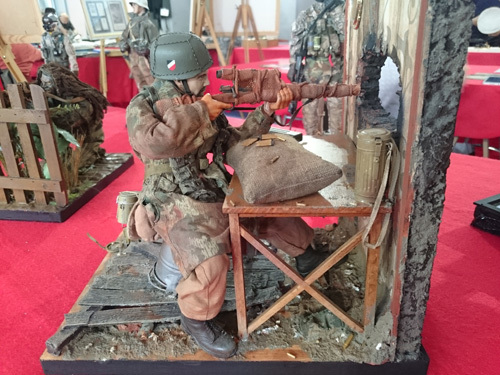 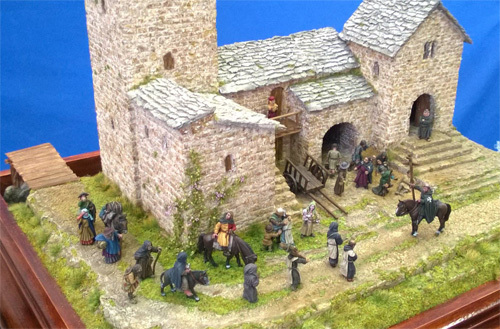 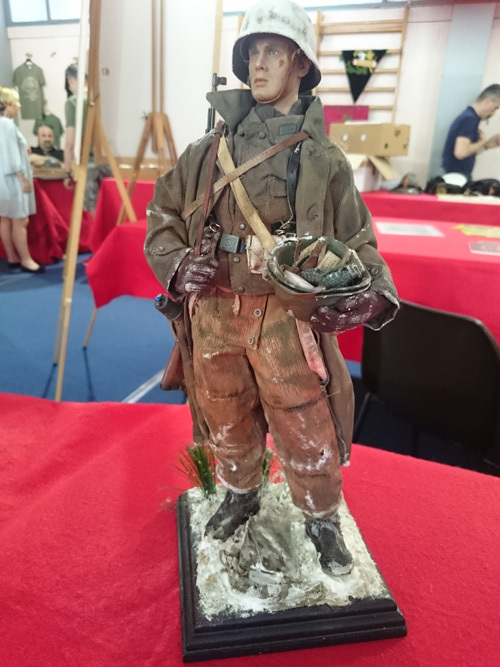 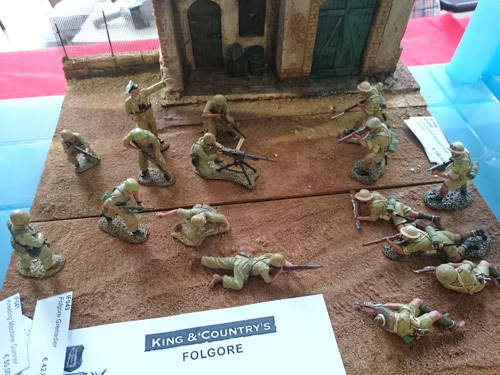 Some close-ups on miniatures in Lucca Comics & Games. 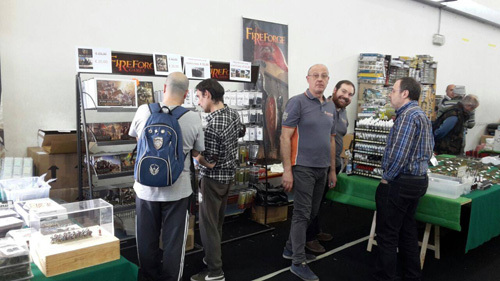 Up there is Nano Nefasto with his bust before his 5 days live painting session during the convention. 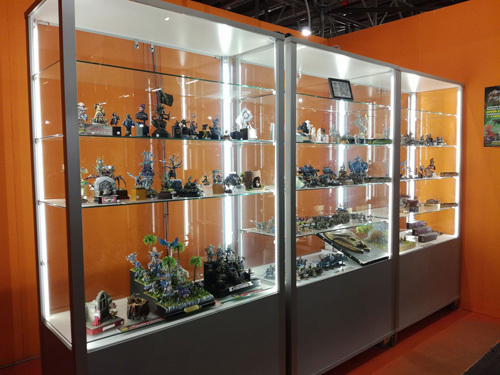 Below there is the glass showcase for the painting contest. 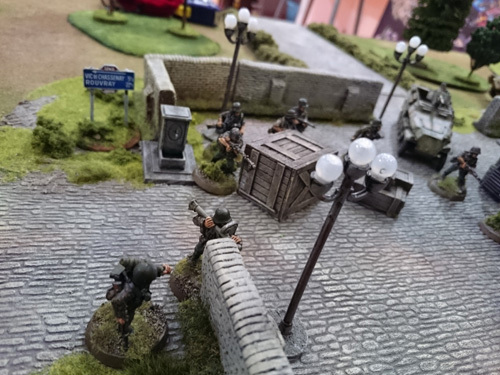 Torriani’s WWII game and its delicious setting. 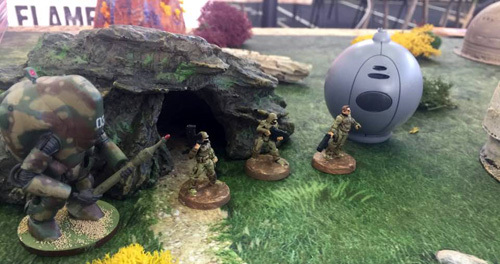 Miniatures from an Andrea sketch that were realised with the Fungi kickstarter. 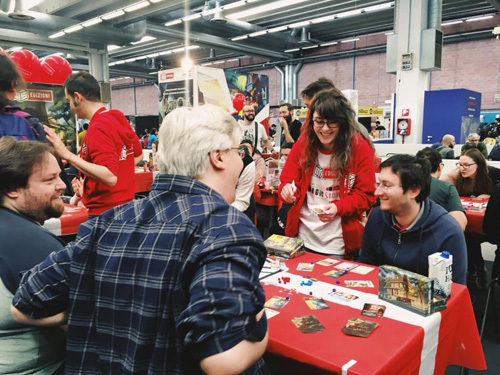 The character, but not the pig, resembles Andrea when he was young. 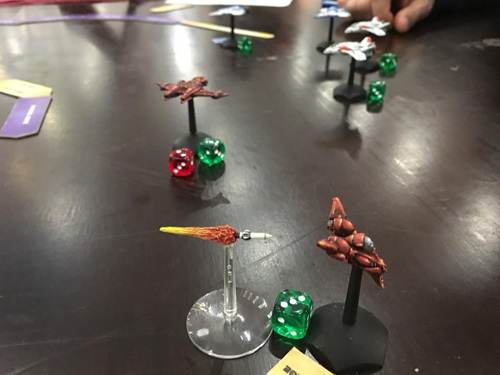 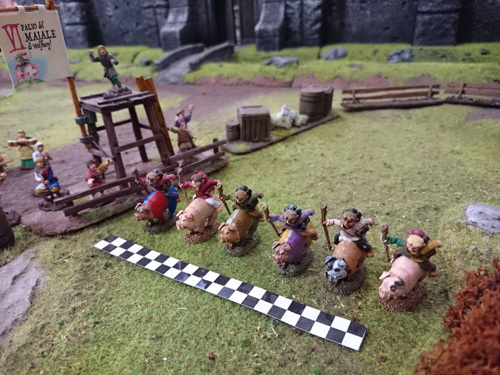 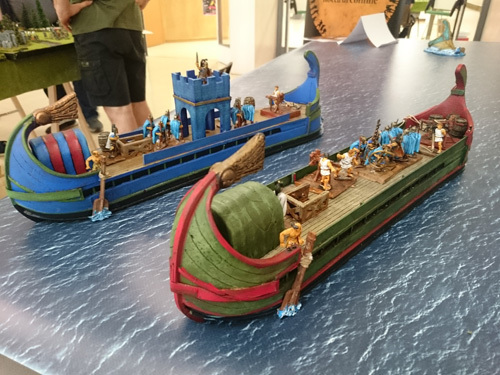 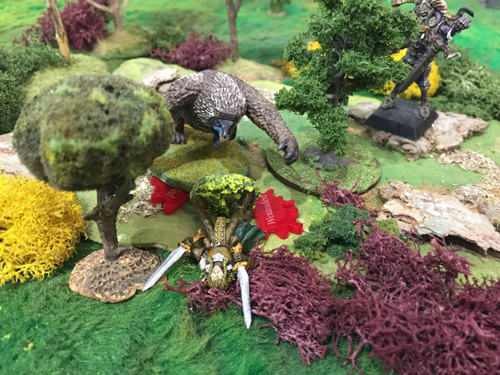 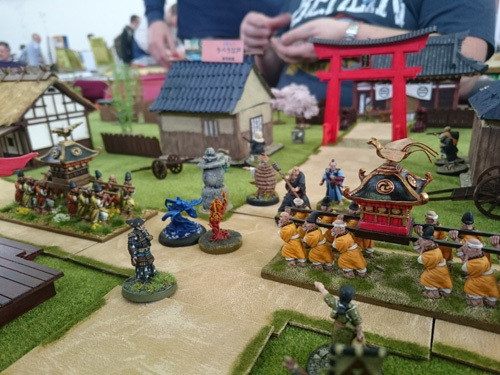 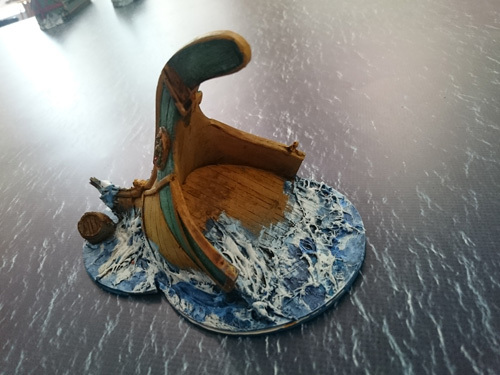 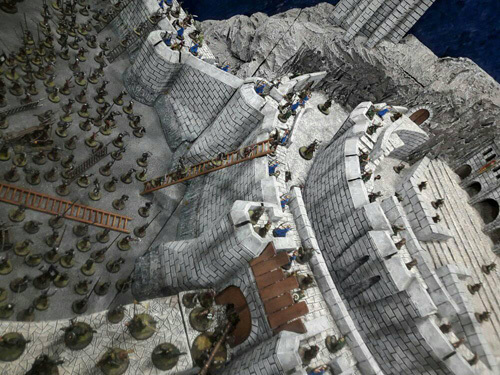 Other people that run a miniatures demonstration space in Miniature Island liked the miniatures and created a game with some of them: a fantasy medieval race. 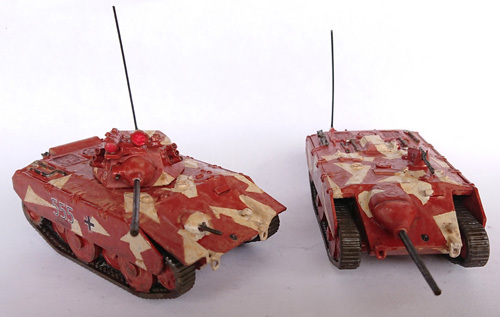 They didn’t know that we were the maker of them. 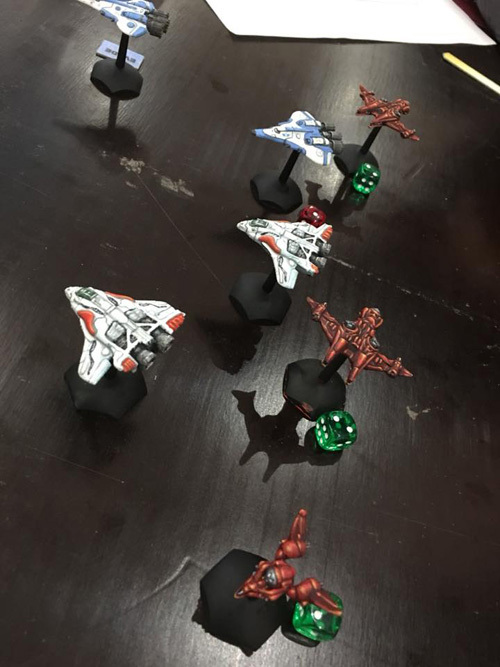 A close-up on Star Eagles. 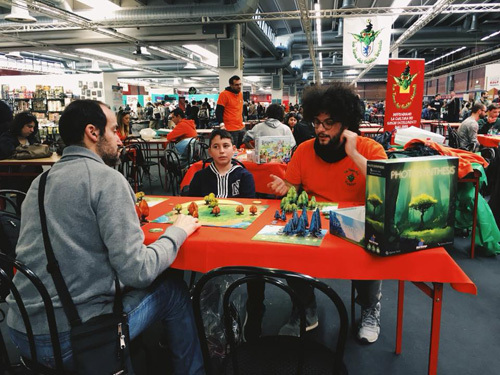 Two playable mascots of Miniature Island and a cake in Orti di Elisa restaurant. 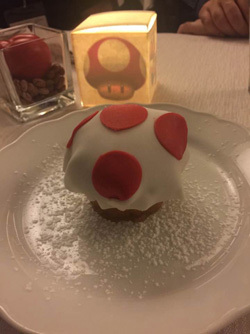 This year restaurant theme for the convention was Mario Bros. 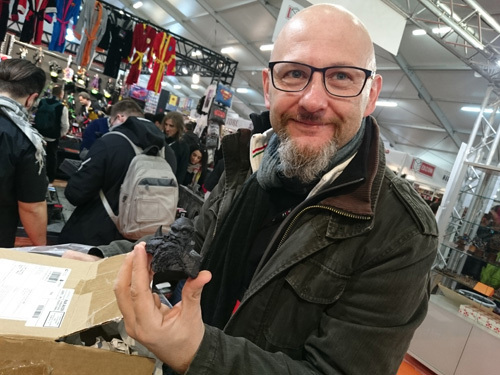 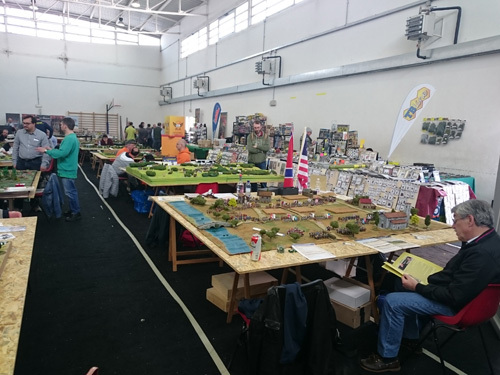 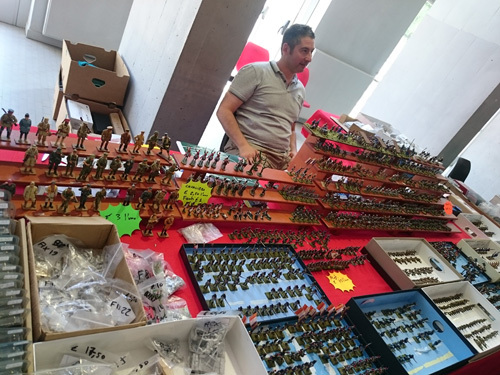 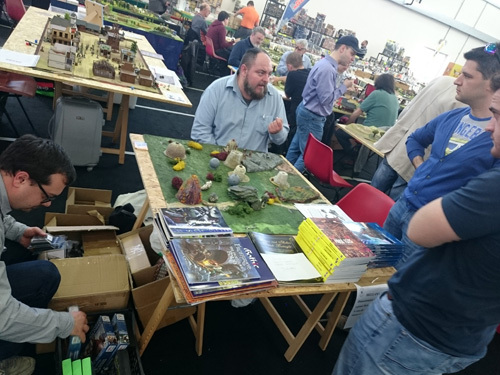 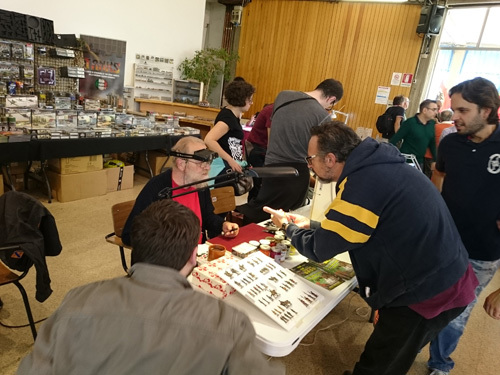 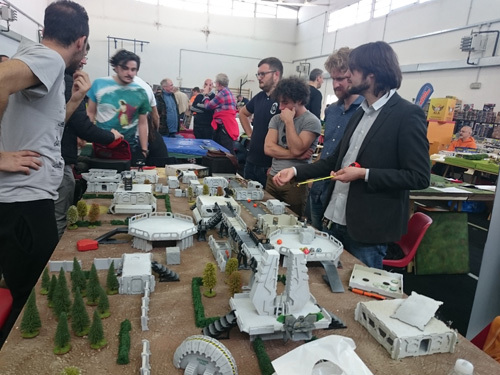 In Lucca Comics & Games all is so big that some miniatures that you can view on wargame tables were a little bigger than usual. 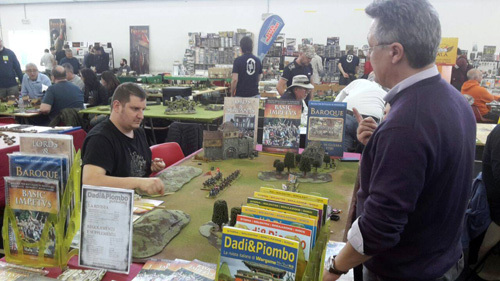 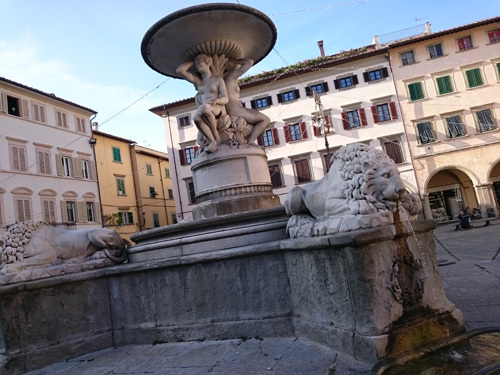 Again in Empoli for one of the best historical wargame convention. 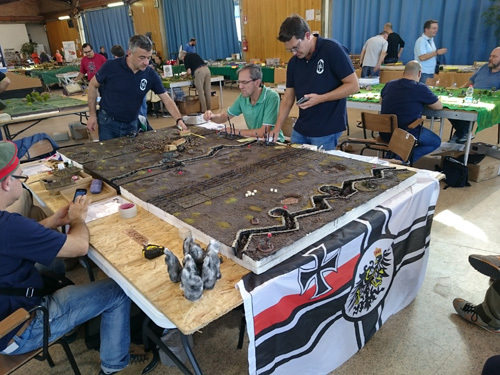 Two days of wargame in September 2017. 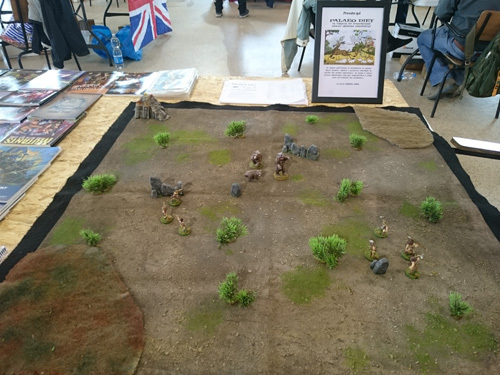 Here our Ganesha Games big table with some books of ours. 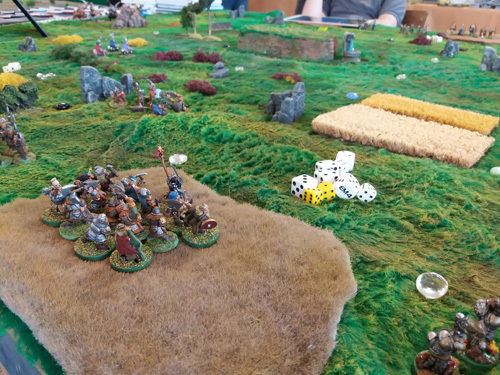 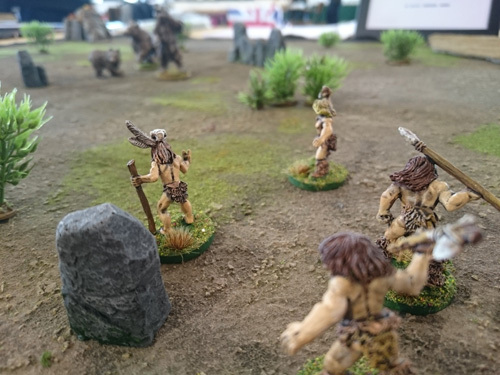 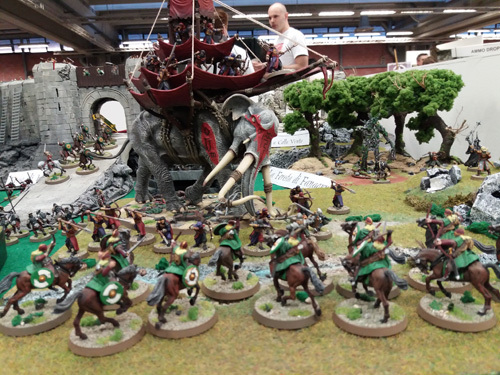 We showed Sellswords, Palaeo Diet and the upcoming fantasy big armies game. 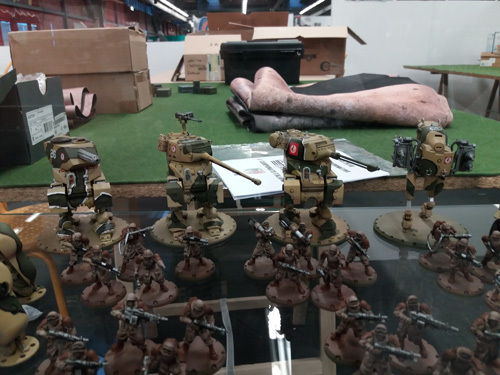 Some pics about other things around. 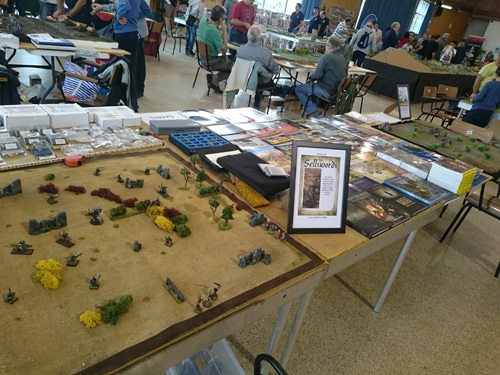 The tables quality is rising in these years. 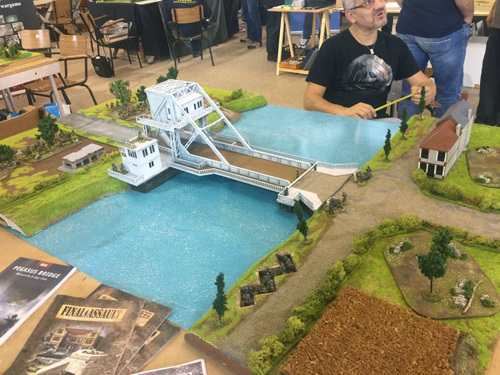 And now a display of costly things in an unreal set, however a beautiful view. 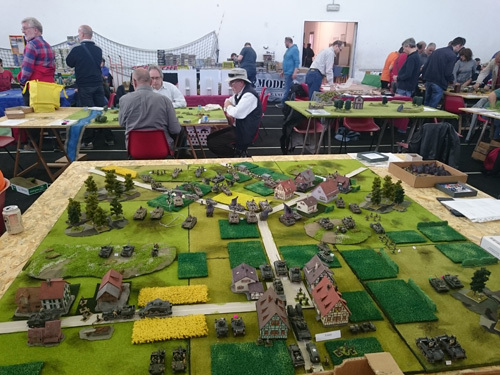 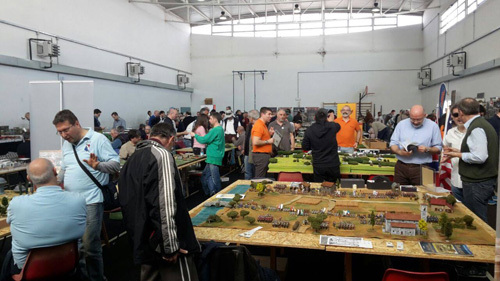 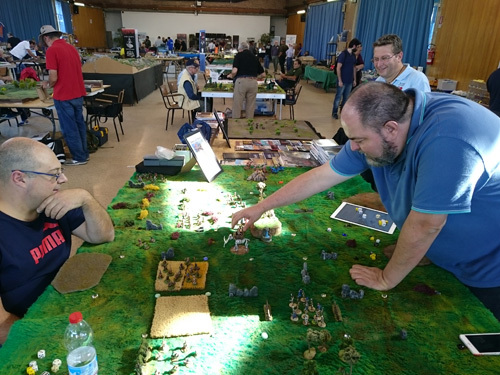 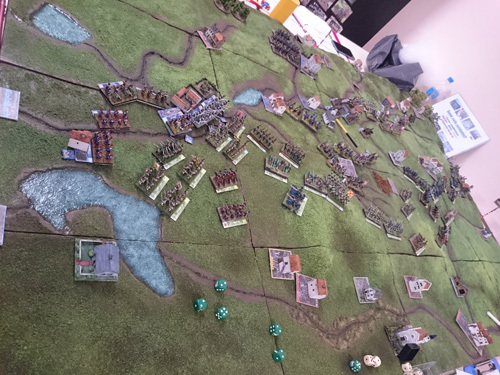 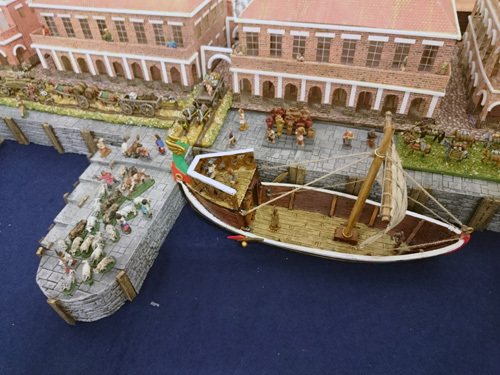 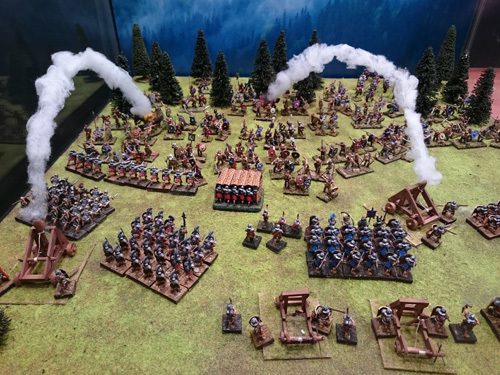 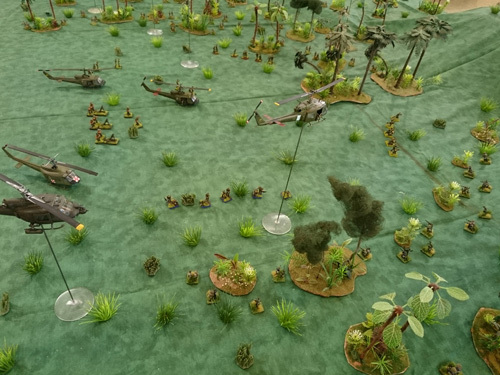 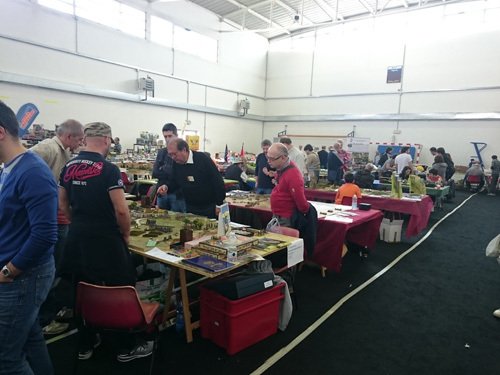 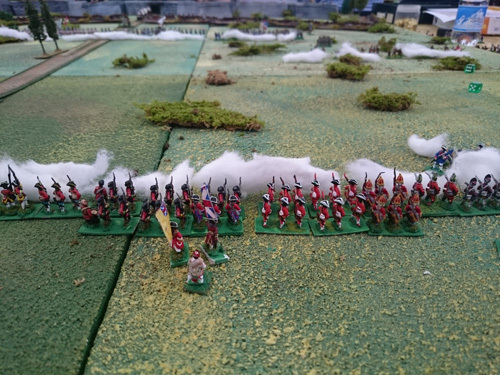 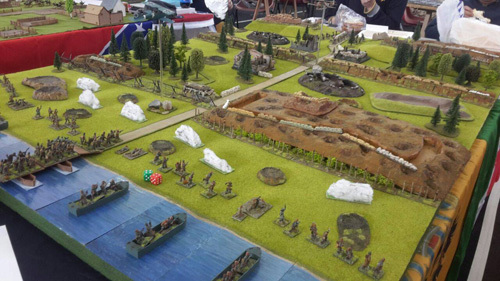 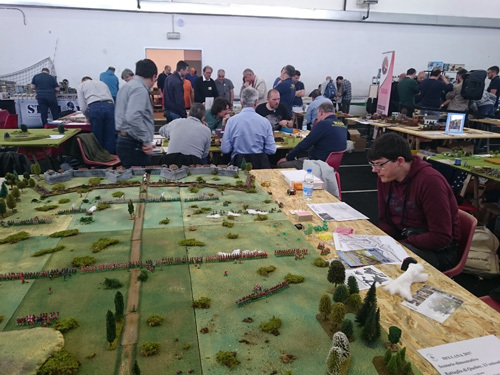 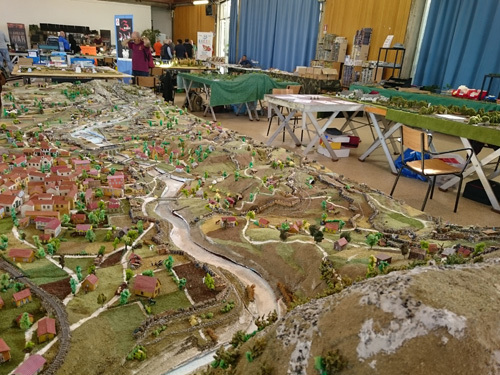 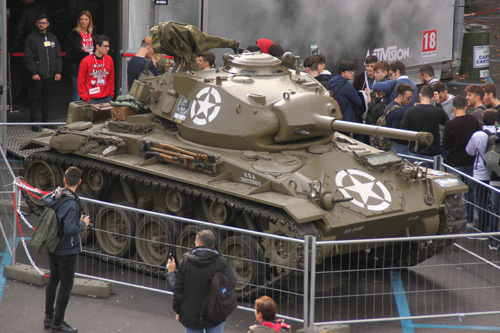 Hellana is one of the most important wargame convention in Italy. 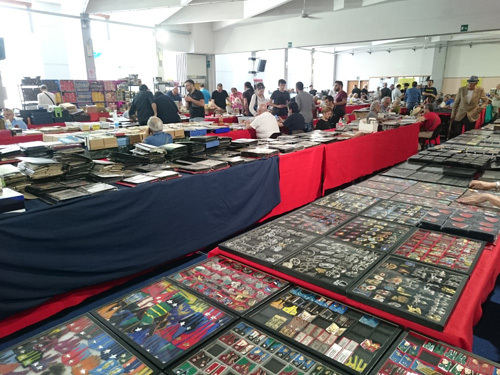 I go there almost every year since 2004. 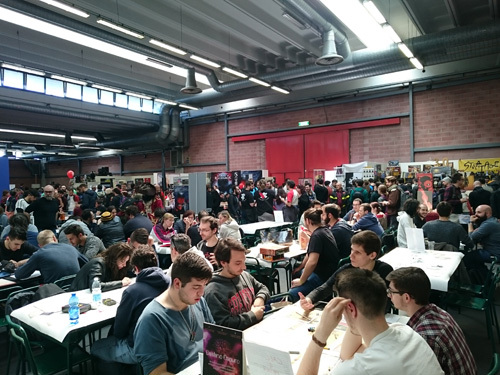 And as Ganesha Games we have one or more tables where to present new games and to distribute our stuff. 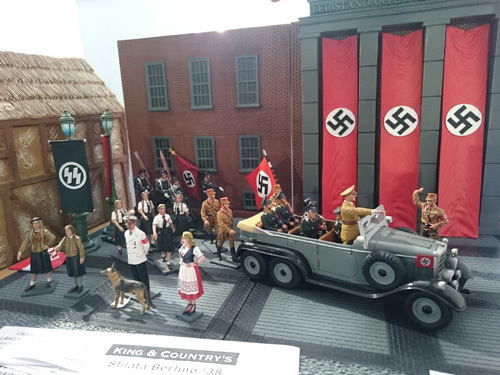 What to say more? 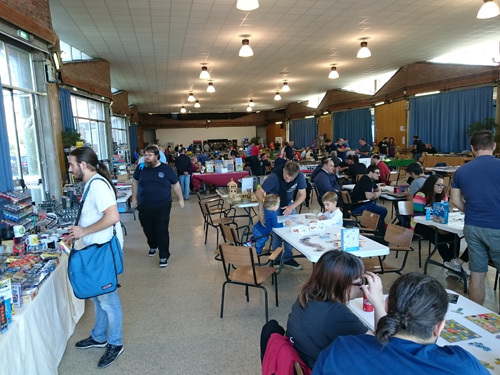 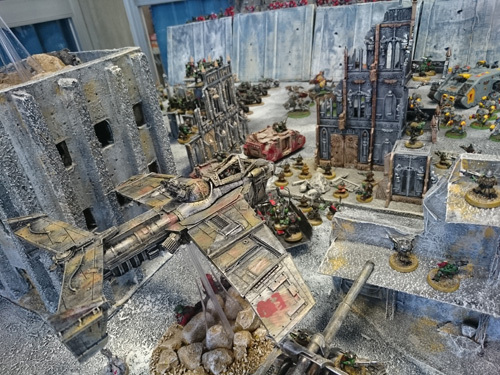 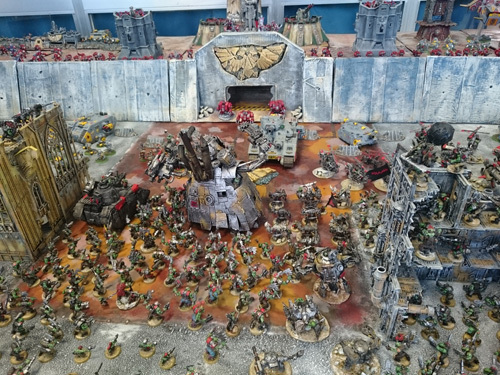 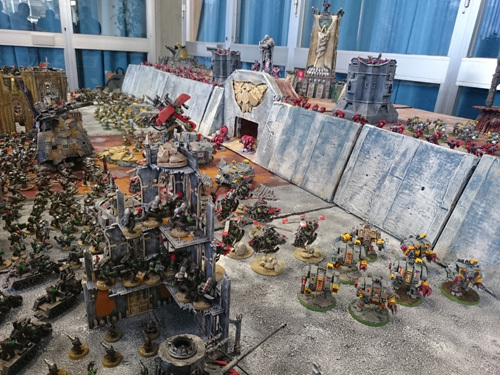 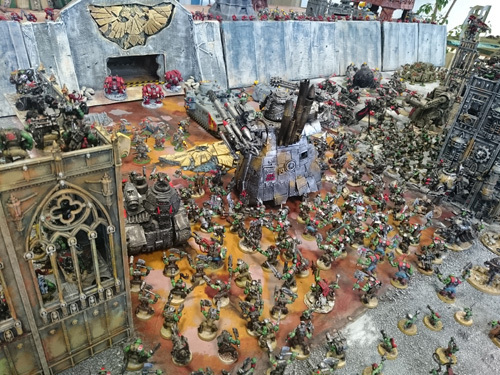 Look at tables, games and miniatures. 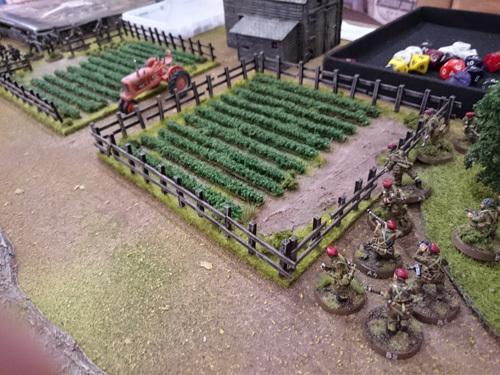 At the end new Mirlinton production.